Mendham Borough offers brush pick up as a service to the residents. The Borough Brush Removal Program is for the homeowner’s convenience to assist in seasonal tree maintenance and storm damage to trees. No cut down, whole trees will be picked up. This service shall not be used by private contractors. Persons hired by the property owners are responsible for removing material. Piles deemed excessively large will not be accepted. 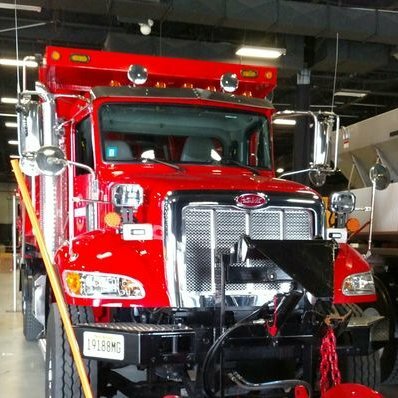 Public Works Superintendent has the right to refuse any pick up that does not fall within these guidelines. The piles must be stacked in an orderly fashion and not tied in bundles and shall not be larger than six inches in diameter. Stumps, root balls, roots, lumber, brush larger than six inches in diameter, metal of any kind, posts, clippings, dirt, grass, flowers, weeds, plants, leaves, bamboo or any type of household garbage. The Department of Public Works consists of 9 employees of various disciplines and experience. All Borough Owned Buildings and Vehicle Fleet Maintenance. It is suggested that you cut your grass and leave it on the lawn. Grass clippings and leaves will not be picked up. Do not leave grass clippings/leaves at the curb. Do not mix grass clippings/leaves with branches and brush or with household garbage. Grass and leaves are accepted at the Department of Public Works. The hours of operation are: Monday-Friday: 7AM to 3:30 PM and Saturday 8AM to 3:00 PM. Contractors are NOT allowed to dispose of this material at this site. They may dispose of the material at the County Disposal Facility in Mount Olive. to schedule a curbside pick up. Wood chips from the brush program are available to residents. You can help yourself (free) to them at the Department of Public Works or have them delivered free of charge. Saturdays from 8am to 3pm. The DPW is under 24 Hour surveillance an ID will be checked when entering the property. 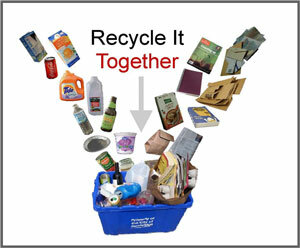 Please see the Recycling / Waste page.